Yet another article coming from Automotive News. Definitely among the leading creators of free tips online. 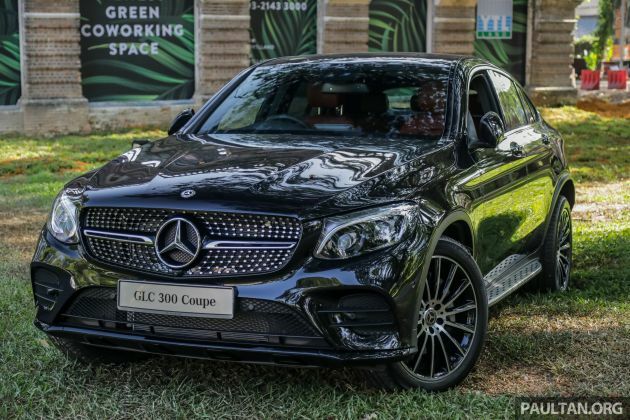 Alongside the launch of the locally-assembled Mercedes-Benz GLC 300 4Matic Coupé, Mercedes-Benz Malaysia also held a preview of the V167 Mercedes-Benz GLE at its Hungry for Adventure Festival today. The fourth generation of Stuttgart’s midrange premium SUV, previously called the M-Class, is set to arrive soon with an estimated price of RM633,888 for the GLE 450 4Matic. Riding on the new Modular High Architecture (MHA), the new GLE wears the company’s latest SUV design language, with trapezoidal headlights flanking an upright octagonal grille. At the rear, you’ll find wide body-coloured C-pillars – a holdout of the original M-Class – and slim tail lights complete with blocky light guides. 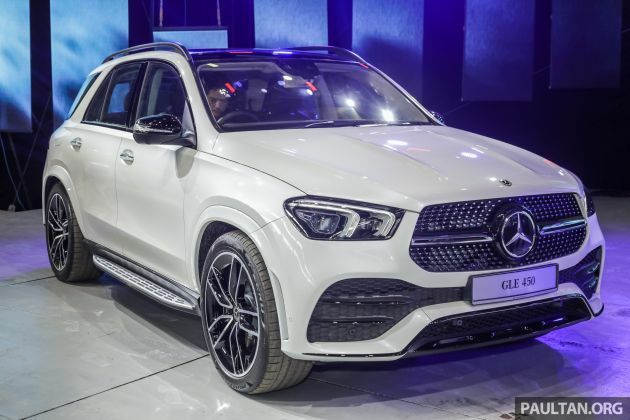 The GLE comes to Malaysia in AMG Line trim, featuring a more aggressive front bumper with the AMG “A-wing” design, a studded “diamond” grille and a rear diffuser with integrated twin tailpipes. Also fitted are Multibeam LED headlights and a Night Package with gloss black highlights, while 22-inch five twin-spoke alloy wheels fill the squared-off wheel arches. 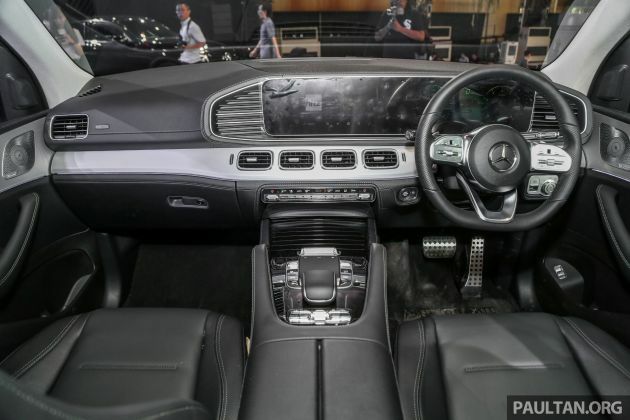 The interior is a bit of a departure from Mercedes’ sedan range, with a sweeping vent-like surround for the freestanding flatscreen panel, plus a rectangular design for the actual air vents. There’s also a tall centre console with leather-wrapped grab handles. 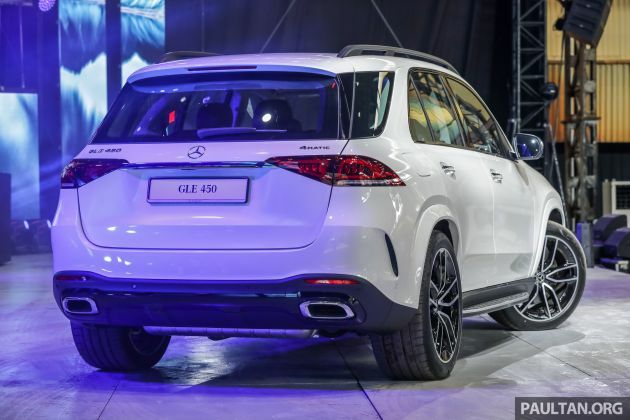 For the first time, the GLE is being offered here in both five-seater and seven-seater variants. As standard, the GLE comes with twin 12.3-inch displays, linked to the latest Mercedes-Benz User Experience (MBUX) infotainment system – the same one you’ll find on the new A-Class. The Linguatronic voice control, operated by saying “Hey Mercedes”, can be used to control various functions of the car, such as the climate control and the 64-colour ambient lighting. 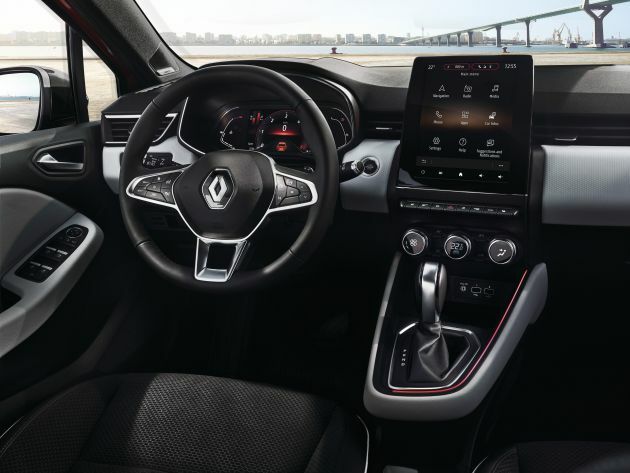 Other bits of kit include brushed aluminium dashboard trim, a panoramic sunroof, acoustic glass windscreen and side windows and Airmatic air suspension with the new 48-volt E-Active Body Control system. The latter controls the spring and damper of each corner individually, allowing it to perform such tricks as rocking the car free if it gets stuck off-road. Power comes from a new M256 3.0 litre turbocharged straight-six – the same one you’ll find in the CLS 450 – that produces 367 hp at 5,500 to 6,100 rpm and 500 Nm of torque from 1,600 to 4,500 rpm. It’s paired to a 48-volt mild hybrid system that provides a 22 hp/250 Nm boost under hard acceleration, along with a nine-speed 9G-Tronic automatic transmission and 4Matic all-wheel drive. 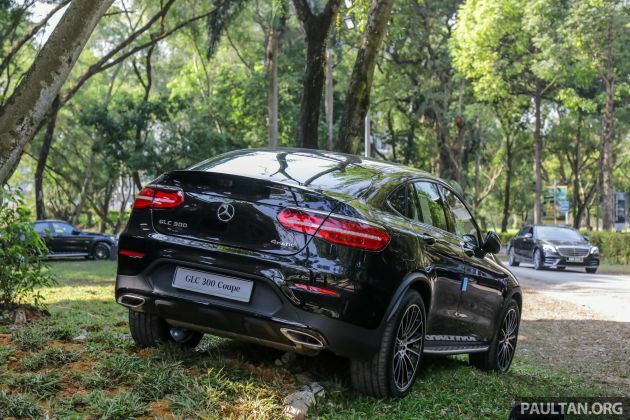 The GLE 450 4Matic will be on display together with the GLC 300 4Matic Coupé and various other Mercedes-Benz SUVs at the Hungry for Adventure Festival, which runs from now until March 24 at Sentul Depot, Sentul West. Leave us your views just below, share a quick comment and let me know what subjects you want covered in our posts. 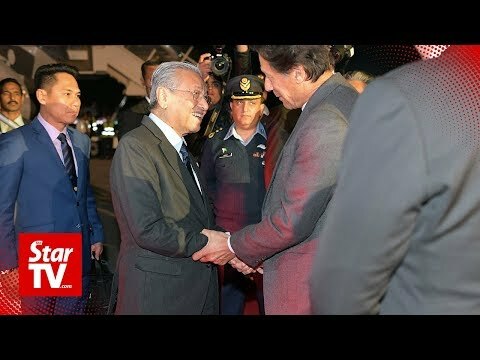 All new article just produced by Lowyat.NET. Potentially 1 of the finest generators of info you can find. 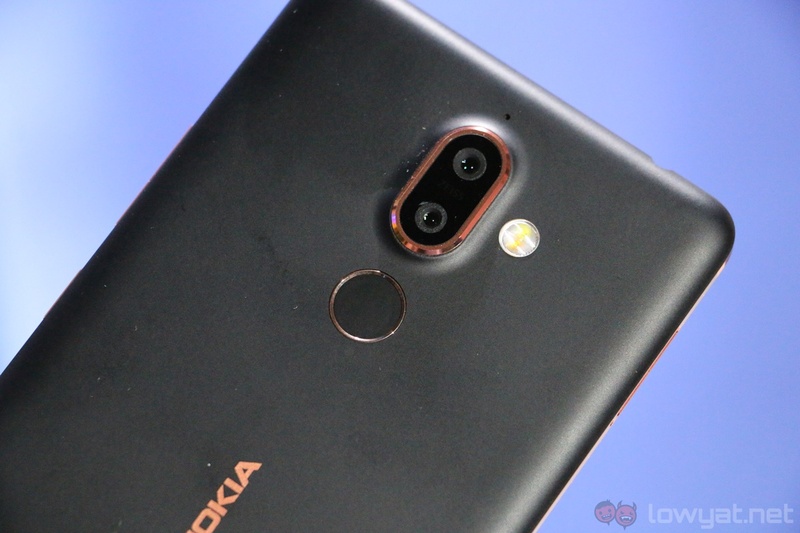 HMD Global, the company that took over the Nokia brand from Microsoft, is currently being scrutinized by the Data Inspectorate of Finland. After a user discovered his Nokia 7 Plus was transmitting personal data to China. 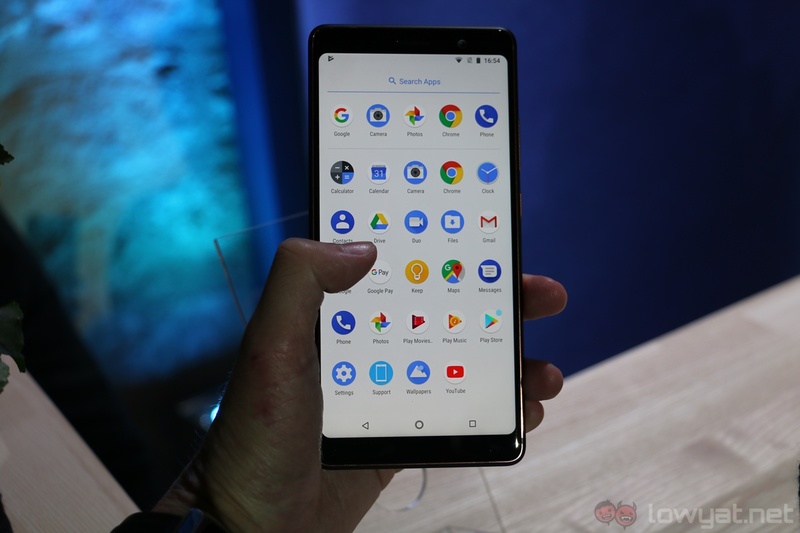 Henrik Austad, a Nokia 7 owner was monitoring traffic from his phone. To his surprise, the device was sending unencrypted information to somewhere in China. The information being sent included the device’s location, his phone’s serial number, and SIM card number. According to NRK, Norwegian public broadcaster, the data was sent to a Chinese server under the domain “vnet.cn”. Further investigation revealed that the domain is part of the state-owned telecommunications company, China Telecom. HMD Global reportedly admitted to NRK that it was sending data to China, but said it was due to a software error and that the issue was resolved in a January software update. The Finnish company also claimed that the phones did not send any sensitive information that could identify owners. Reijo Aarnio, the Finnish Ombudsman (public advocate) for Data Protection, said that he would investigate if any data breaches occurred and if legal action had to be taken. He implies that it could be a violation of the European Union’s General Data Protection Regulation (GDPR) legislation, and if found guilty, HMD Global could end up with some really stiff penalties. Leave me your reaction down below, share a comment and let us know what subjects you would like us to cover in up coming articles. The following material was in fact submitted courtesy of Automotive News. I enjoy taking a look at any one of their articles as they’re genuinely instructional. I hope you get something out of it. 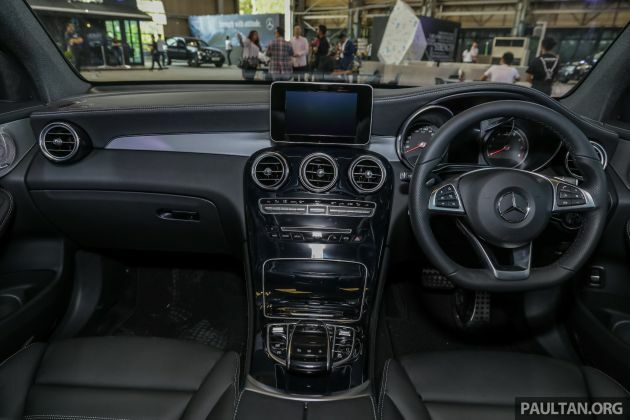 Meanwhile, the interior features Artico leather upholstery, AMG sports pedals, black piano lacquer or light longitudinal-grain aluminium trim, a flat-bottom AMG sports steering wheel, powered seats (with lumbar support and memory function for front passengers), a panoramic sunroof, Audio 20 multimedia CD, ambient lighting and a Burmester sound system. For convenience, there’s also Hands Free Access. This is definitely an artistic and convenient way to travel around Malaysia, especially in Penang. Leave me your feedback below, share a short comment and let us know which topics you want covered in up coming posts.